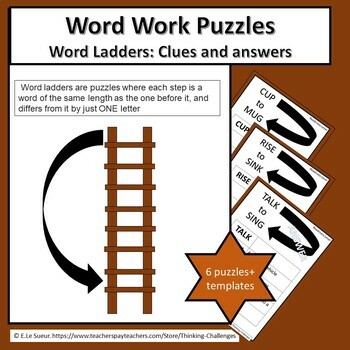 Word Work Puzzles: Ladder words. 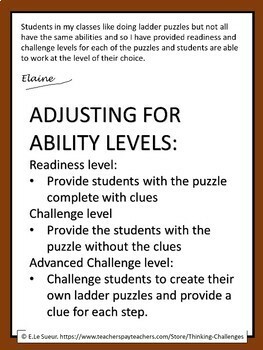 Are you looking for a fun activity for your word work/ literacy center to independently challenge older students? 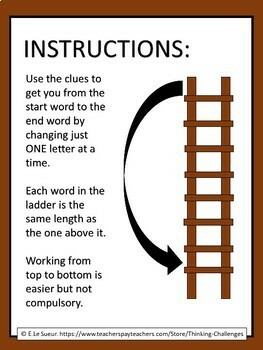 Ladder words are puzzles where each step is a word of the same length as the one before it and differs from it by just ONE letter. A challenging way to look at opposites. 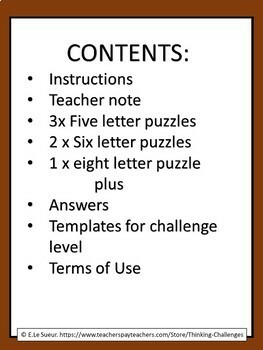 Did you know that you can receive credit towards future TPT purchases by reviewing this product? If you enjoy this product, please leave a review at the product page or through “My purchases” under “My account” at TPT. Ratings help to spread the word. You can also follow me to keep up with my latest products.